An unexpected change, the advent of the new service manager for the Kiowa Service Company, Larry Foster giving notice, the communal being that he desired to go in business for himself, the clandestine reason being a discordant with owner Steve Miller’s posture on warranties and other irregularities. Gary having experienced Miller’s pressure to apply a warranty resolution whenever possible or even manufacture a possibility, Larry’s refusal to be part of this deception an added reason for his departure. The Service Company was introduced to Howard, a middle age service department manager whose was previously employed by a John Deere Dealership in Norman Oklahoma. Gary as well as many of the Service Company employee’s puzzled over how Steve Miller came about finding Howard, but then again the same could be said about his hiring of Steve McCreary. Like McCreary, Howard immediately sought means to establishing permanent residency he and his wife purchasing and preparing a vacant lot on the corner S. 9th and Robinson St. for a double wide 24 x 52 ft. modular home. Gary’s father-in-law Bud Murrow was prompted by his family to engage in something he had never attempted before, cut his own wheat, the only problem was he didn’t have a combine. Bud in the past along with other members of his wife family having joined together and hiring someone to harvest the Roth family sections of land. Bud giving in to the wishes of his wife and daughters approaching John Miller about renting or buying a used combine to harvest his quarter section of wheat. 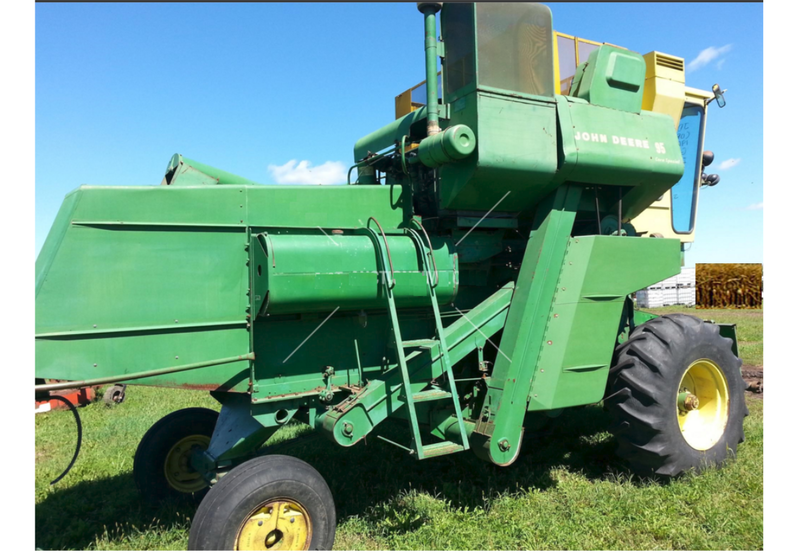 John recently having traded for a vintage 1960’s 95 combine that was in working order but in need of some minor repairs and an engine head gasket. The two coming to agreement at a nominal price for what Gary thought might be the Murrow’s first and last time in harvesting their own wheat. Gary having some concern with his younger brother-in law Shawn Johnson who was working for Bud’s construction company at the time taking a quasi part in the repairs. The harvest event resembled more of a picnic than a serious harvesting endeavor, a family affair with the children and grandchildren all taking turns riding in the combine as it slowly progressed with its cutting endeavor thru the 120 acres. 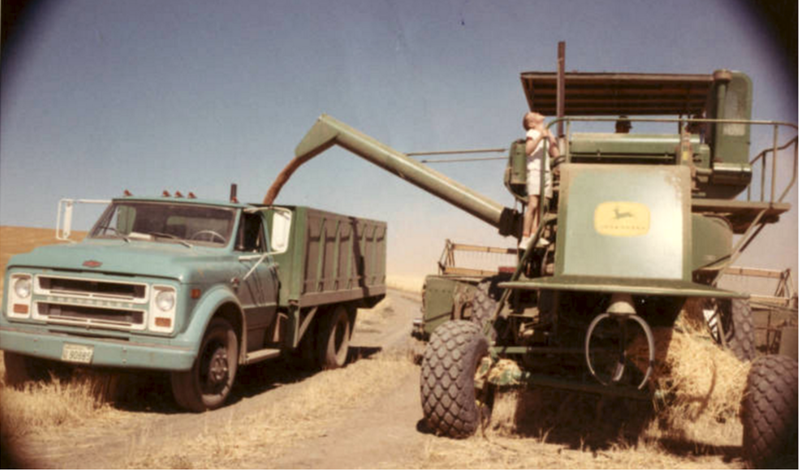 The wheat hauling truck duties shared among the Murrow daughter Gayle Robb and son-in-law Shaw, Gary unable to participate, his duty at the parts counter during the harvest weeks stretched into sixteen hour days. Gary’s wife Jan entering Kiowa Service looking perplexed, it was nearing the final day for the family’s 95 combine to complete its appointed task. 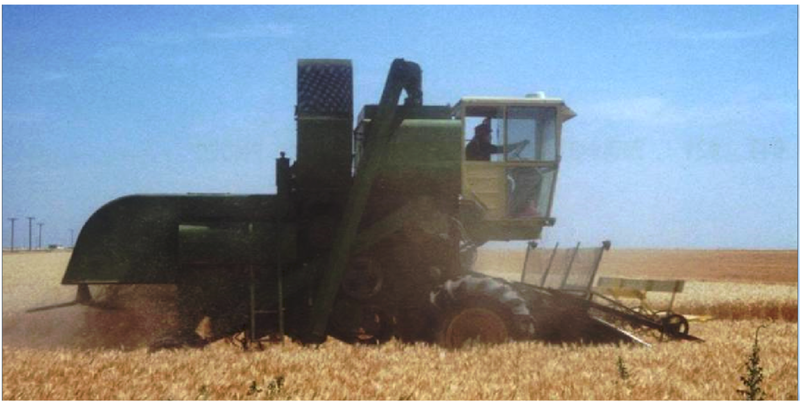 Jan evoking that the combine had stopped running, Shawn Johnson, Gary’s brother-in-law spending several hours trying to remedy its problem but to no avail. Jan with a look of hopelessness presented a question, “could you do something? Gary immediately thought of his friend Ron Zahtner but he was on a service call and unavailable. A walk thru the shop area finding Keith Hoffman, Jim Pulliam and Danny Callison, all three having returned from service calls. Gary relating the Bud Murrow combine predicament, mentioning that Shawn Johnson had attempted to resolve the problem without success, the three all shaking their head, acknowledging they knew Shawn. Keith volunteered to make the short journey to Bud’s acreage, then Denny added his voice, followed by Jim, all three would participate. Keith’s service pickup was full, the three mechanics, Gary notifying Craig Brattin he would be out of the building telling Jan that hope was on its way before joining the others. The short excursion to the Murrow’s state line farm accomplished, the three journeyman mechanics discovering a solace 95 combine sitting in the field with a sulking Shawn. Johnson giving a summary of the circumstances and what he thought the problems was, the three addressing the situation. Jim cranking the engine, Keith and Denny on top assessing the engine problem, within what seemed like minutes a resolution was determined, with some skilled adjustments the vintage harvester came to life, once again ready to fulfill its appointed task. The task completed, Gary posing a questioned to three about submitting a work order, all three just smiled, “tell Bud the service-call is on us”. Gary’s consternation about the warranties and misgivings of Steve Miller’s directives began to sojourn on his conscience. An unanswered question discovered Gary in Steve Miller’s office, the parts person presenting his assertion of the impropriety of warranty exploitation. Steve readily acknowledging its presence, but rationalized with an explanation, gesturing to the small utility tractors positioned across the street, imparting, “Kiowa Service having never sold a single one, but they remain”. Gary, understood the smaller tractor application was not marketable in a wheat farming community, but listening to the owners accordance. Steve continued, “John Deere requires I floor-plan a number of their products, whether they are marketable or not and as a dealer I am given no choice. Floor planning equipment that I can’t sell cost me money and I am only recouping my loss of income from John Deere.” Gary acknowledging Steve Miller’s annotation, noting that his justification was not acceptable, the age-old adage coming to mind, “two wrongs don’t make a right”. Exiting the office discerning that the seeds of lamentation have been planted, the fruit’s of emergence soon to flourish and the commission of righteous employment to be adjudged. This entry was posted on July 12, 2016 at 5:19 am and is filed under Uncategorized. You can follow any responses to this entry through the RSS 2.0 feed. You can leave a response, or trackback from your own site.